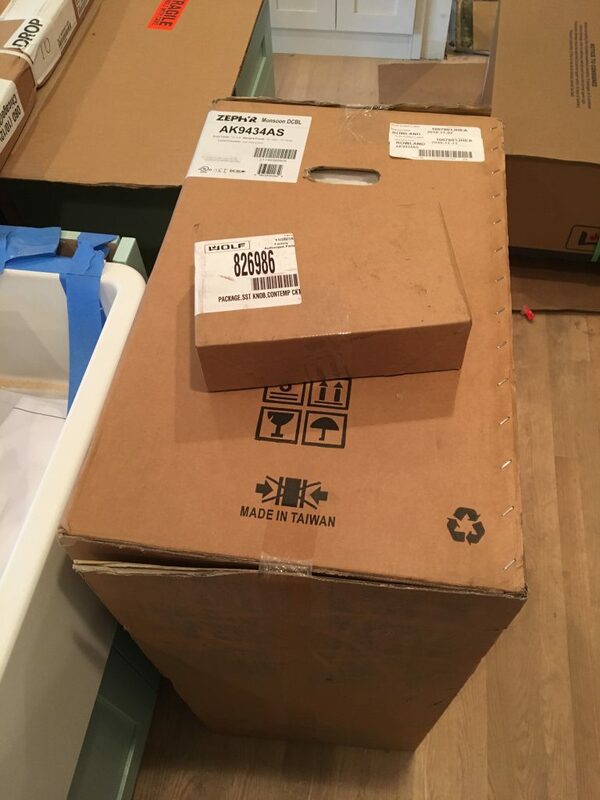 We walked through the new kitchen with our appliance installer last week, and identified a few small items to address before they arrive on January 3rd. For example, 220v wiring needs to be pulled through for our double wall oven, a valve needs to be installed for the refrigerator water line, etc. Some of the final plumbing won’t be completed until after the counter and sink has been installed. It will be interesting to see how this goes – seems like kind of a mess. Also, we have learned that “due to the current political climate,” our countertop choice is no longer available. So, we visited the slab warehouse yesterday. Wow! This was fine with us. 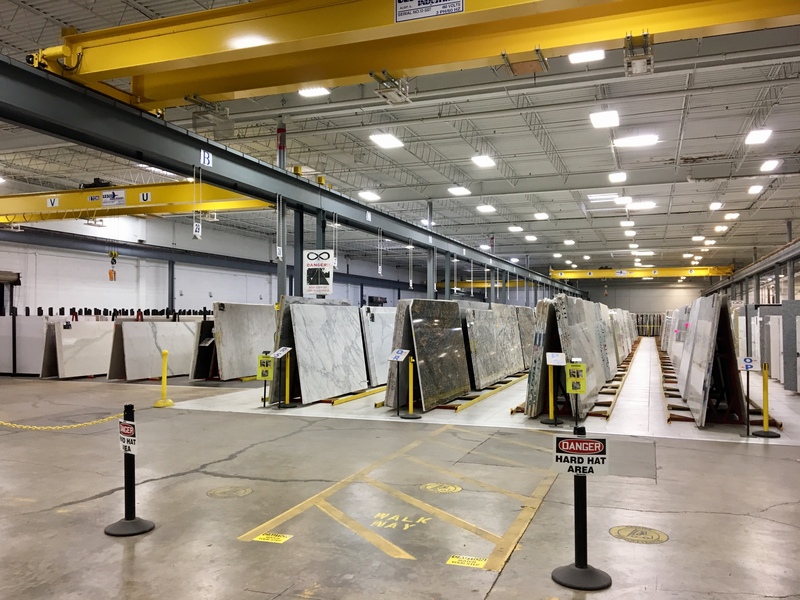 Seeing full slabs up close was exactly what we needed to make a decision. And, here it is. 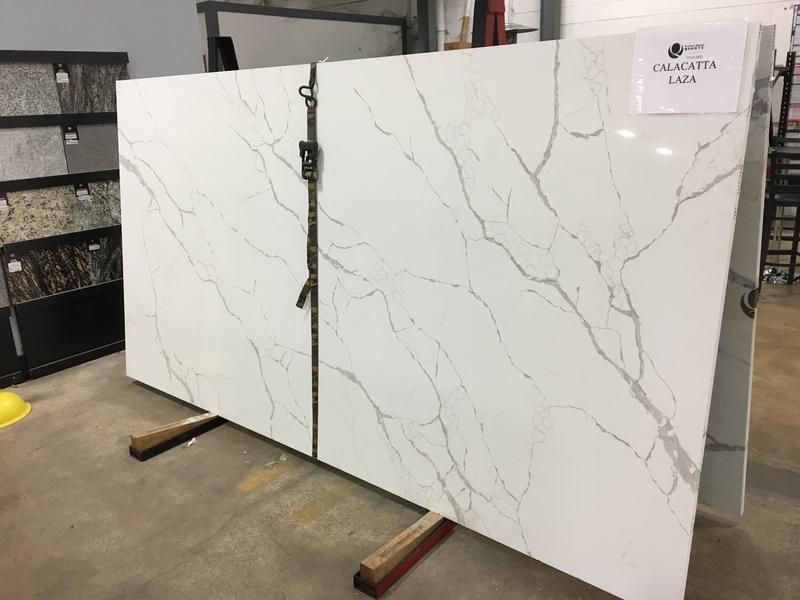 This is quartz, which is an engineered stone made with ground up rock and resin, forming a nearly impervious, non-porous surface. 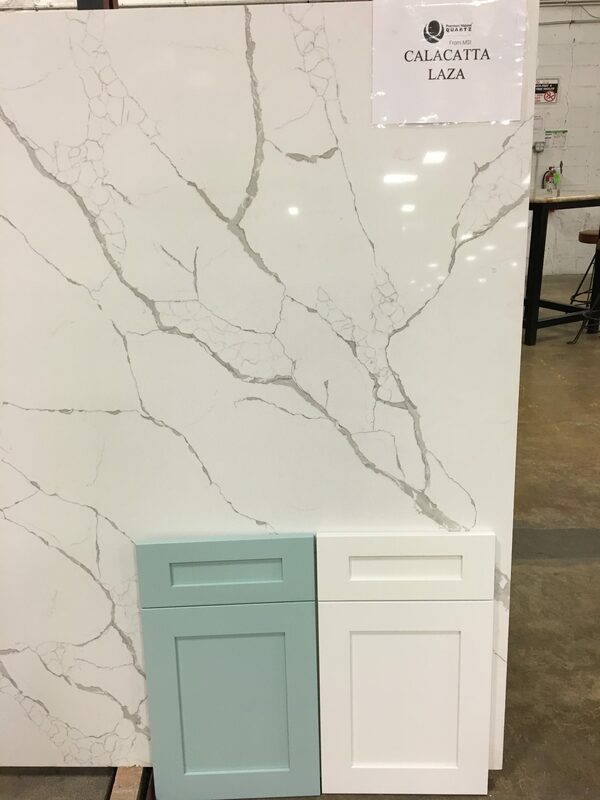 We brought along our cabinet door samples to double-check the colors. The cooktop installation is another challenge. 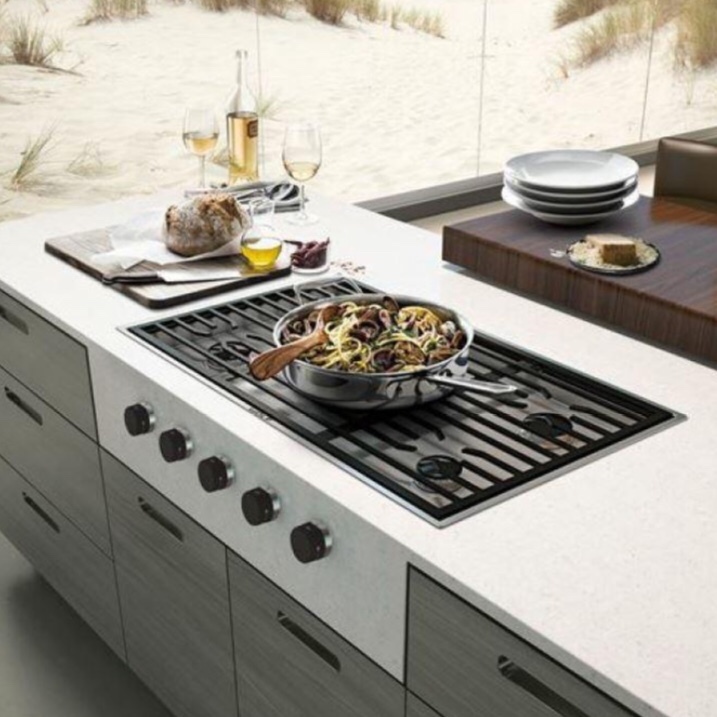 There will also be a small vertical piece of the quartz that will be the front of the cooktop, installed flush with the counter, through which the control knobs will be installed. 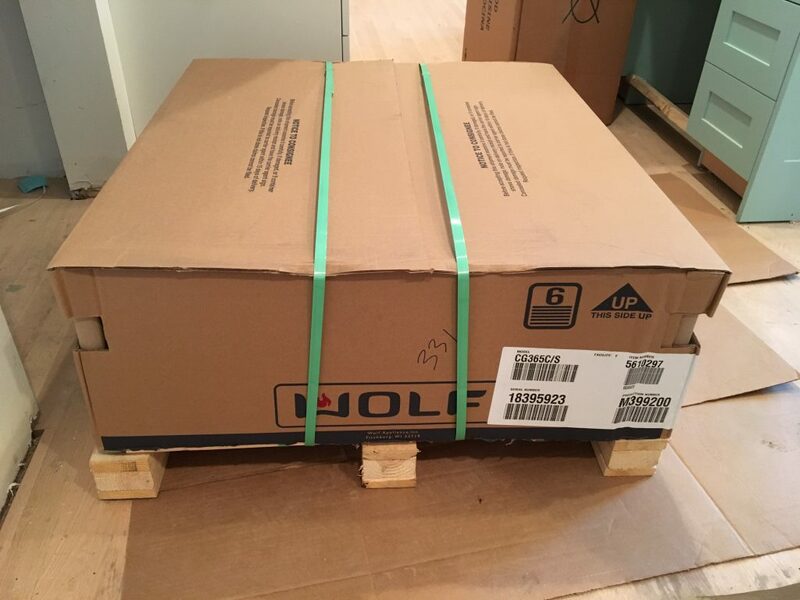 Here is the enormous cooktop box, which arrived on a pallet. There should be a template inside this box that the countertop fabricator will need to use to cut the necessary holes to install this. Hopefully with the template in their possession, the countertop fabricator will be able to install this perfectly! The hood was also delivered, as there is evidently a piece of metal that needs to be cut or measured. Next week should be a busy week as these final adjustments get made in preparation for the appliance installation, and hopefully the new sink gets installed. Since the countertop material is also being used as the mudroom bench, those cabinets will be installed by the carpenter next week as well.